EAST CHICAGO – Jesus Delgado was named vice president of information technology/chief information officer for Community Foundation of Northwest Indiana Inc., parent company of the hospitals of Community Healthcare System. 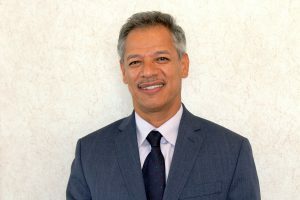 Delgado will be responsible for strategic planning, directing and managing information technologies for Community Hospital, Munster; St. Catherine Hospital, East Chicago and St. Mary Medical Center, Hobart. Delgado brings has more than 27 years of information technology experience. He previously served as executive director of IT operations and cyber security at Rush University Medical Center and as IT operations team leader for the MacNeal Health Network, both in Chicago.